That’s how Angel inTraining Grace Lightbourne felt right before she asked the Big Kahuna to go straight to Earth on a mission as a Guardian Angel. The problem? She never was a great student and now she won’t even finish her last three years of school. To make matters worse, Archangel Michael isn’t happy about her special assignment, but Grace is convinced she’s on a fast track to her wings. Besides, how hard can it be? She’s working with humans, after all. Winging It! 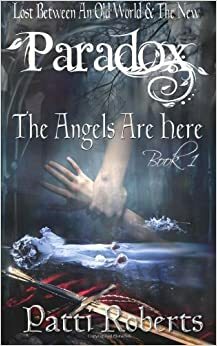 is the first book in the Angel inTraining series, an irreverent and light-hearted take on Angels, Heaven and everything else that's divine. Rowena takes on a new case, but she could be about to find out more of her history than she wants to know. Lumbered with a hot angel with designs on her womb, she has to find and nullify the spirit plaguing her new client, deal with revelations about who her father is, and shake off her addiction to her best friend with benefits, Stephen. Can she do all that and still stay sane?